Whether you love them, hate them, or sit on the fence, The Beatles are a seminal elemental essence in our collective ear. Personally, I am a gigantic Beatles fan. I have been to Abbey Road and yes I have had my picture taken recreating the cover photo with three friends. The first stop I made the first time I went to New York City as a teenager was to the Dakota Hotel to pay my respects to John who I absolutely worshiped at the time, and I balled my eyes out without embarrassment in front of my mother. 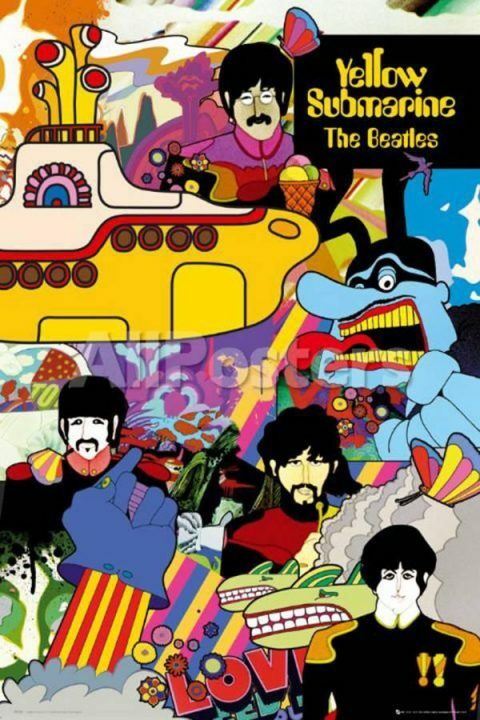 As a gigantic Beatles fan since the moment I began listening to music I have consumed nearly three decades of Beatles music, movies, trivia, and insane memorabilia, but with one glaring omission – before the Austin Film Society screening on July 13 I had never seen Yellow Submarine. This was not because the movie had fallen under my radar, but rather a conscious choice. While consuming everything Beatles I became more and more concerned about what might happen if I got to the end of Beatledom. Would I fall off the precipice? Could a world without new Beatles experiences really exist and be livable? The answer is yes, folks. Stunning hypnotic animation, familiar hit songs, heroes, villains, and classic English comedy all make for a complete and surreal cinematic experience. The world will not end if you see this movie. Quite the opposite. There is a richness in completeness and I highly suggest rounding out any irrational fears you yourself may have and watch this movie.